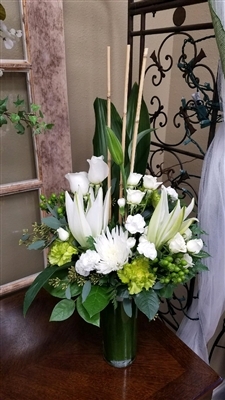 Send peace and serenity with this stylish bouquet of white roses, luxurious lilies and tropical greens. Presented in our sleek bamboo vase, this harmonious arrangement is a modern classic everyone will love. Delivered in Teleflora's Tall Bamboo vase.